AWESOME is a word used frequently at C-Forward so it’s appropriate it is the first word that comes to mind when we saw our new sign hung on the building. Take the time to drive by the corner of 5th & Madison and see our AWESOME sign. We participated in a contest that Co-Sign offered to area businesses in Covington. 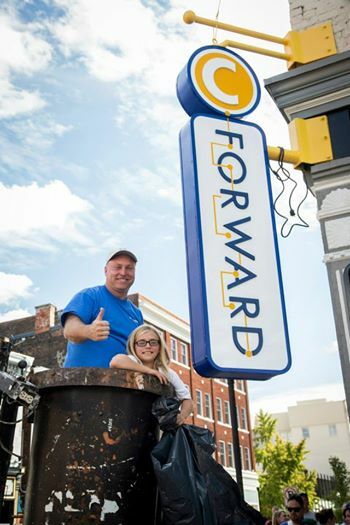 Co-Sign received a grant from the Haile/US Bank Foundation to produce signs for 10 businesses – C-Forward applied and won! We then wanted to design a sign that truly incorporated the branding & marketing that we have portrayed to our clients & employees in the last several years. A concerted effort was made to transform the idea of technology into a concept that could be would look good in printed form. We believe Melissa Askren, the artist, accomplished exactly that. The history of the building, the building’s location, the culture of C-Forward, the retro feel of Covington and the placement of the sign all factored into how the sign was designed. 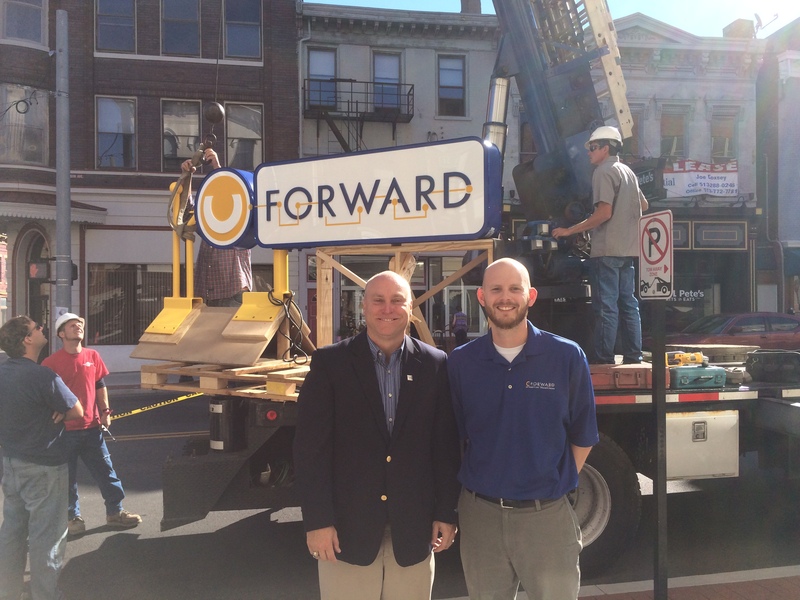 We love the sign as it is a perfect representation of C-Forward’s business model and culture.